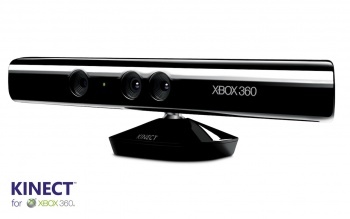 Microsoft may have doomed Kinect to an early grave: GameStop has priced the peripheral at $149. Earlier today, we learned that Microsoft's Kinect peripheral would be launching on November 4th with 15 exclusive games. That was the good news. The bad news is that it'll be $149, according to the GameStop listing. I hate to pass judgment when it's not even out - especially when this hasn't yet been announced by Microsoft - but if true, this may be Kinect's shot in the foot. A new Xbox 360 "slim" (or "short") costs $300, and buying a Kinect on top of that costs $149? Unless there's a cheaper bundle, anyone who doesn't yet have a 360 and wants to get in on the Kinect movement needs to shell out $450, more than twice the current price of the Wii. Why would anybody do that? It gets worse: While $149 is equivalent to Â£100 or €122, some rumors have the peripheral priced as high as Â£199 in the UK. That would be all but suicide for what Microsoft is hoping will be its big system-seller this holiday season. Seriously, would you pay $450 for that?